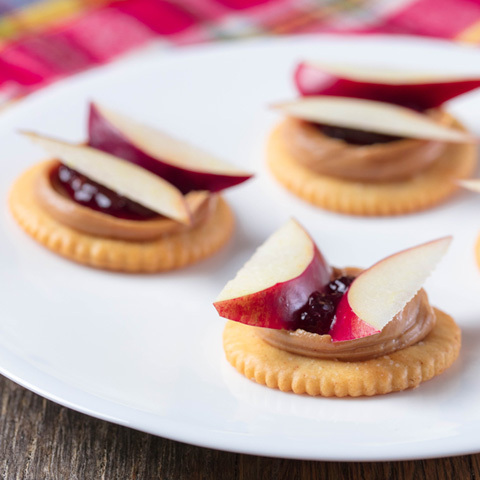 Makes 8 servings, 4 topped crackers each. 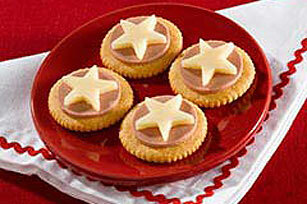 Cut each cheese slice into 4 stars using 1-1/2-inch star-shaped cutter. 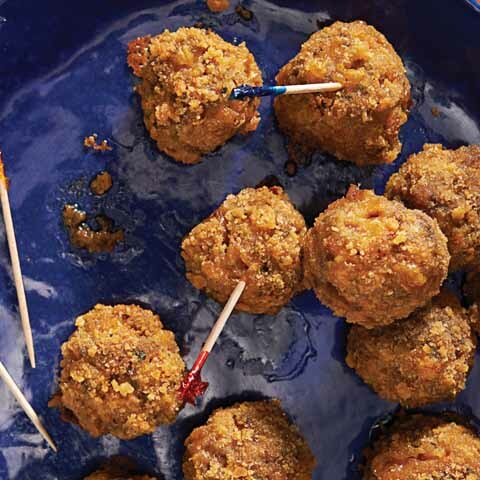 Place crackers in single layer on parchment-covered baking sheet. Top each with 1 EACH cheese star and frank piece. 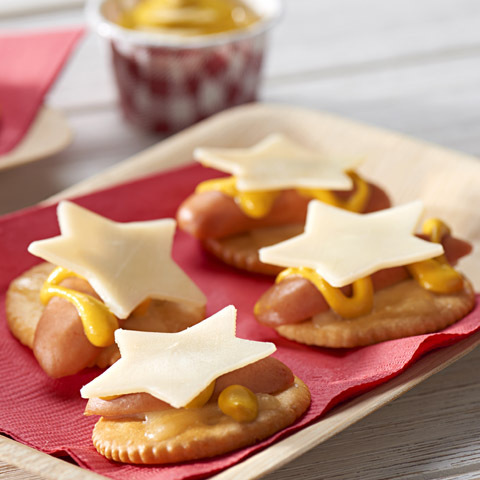 Top with mustard and remaining cheese stars. SubstitutePrepare using your favorite variety of sliced cheese, such as American, Muenster or Colby Jack. SubstituteSubstitute horseradish mustard or honey mustard for the yellow mustard.